Today we have released an HTML5-powered training experience! Train anywhere anytime! Do you have a busy schedule and still want to train chess? 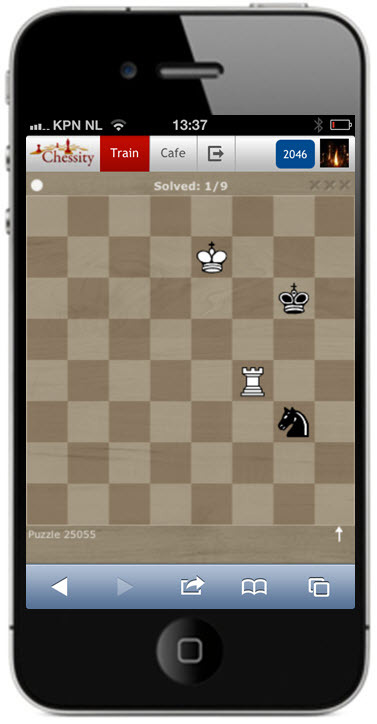 With today’s release you can find extra time to train your chess. It is not necessary to finish a training. You can start a game on your iPhone and finish the game later at your desktop. This game is available for the desktop, tablets and Smartphone’s! You can start a game on your iPhone and finish the game later at your desktop. "At the iPhone the website will feel like an app!"